You stay classy, Star Wars fan! 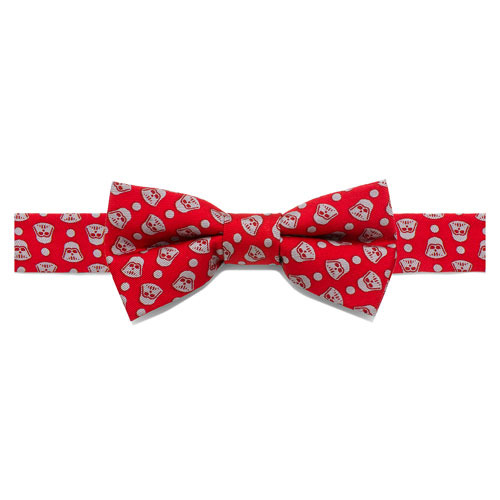 Darth Vader's got your back, and your neck with this Star Wars Darth Vader Tight Dot Boys Silk Bowtie! It measures approximately 3 1/8-inches wide x 1 1/2-inches tall and features Darth Vader's helmet in gray along with some dots for added decoration on a red background. 100% Silk. Pre-tied bow with easy-on, easy-off hook closure. Best suited for ages 3-6.